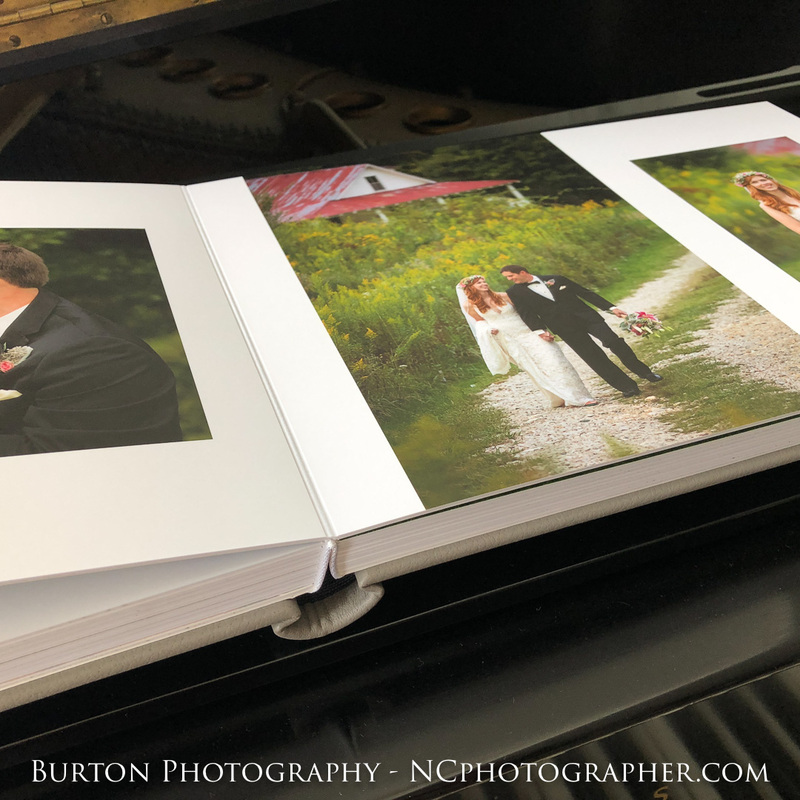 White Fence Farm Wedding Album…This afternoon when the doorbell rang, I knew right away who it was. I was expecting a delivery from New Zealand. Yes! 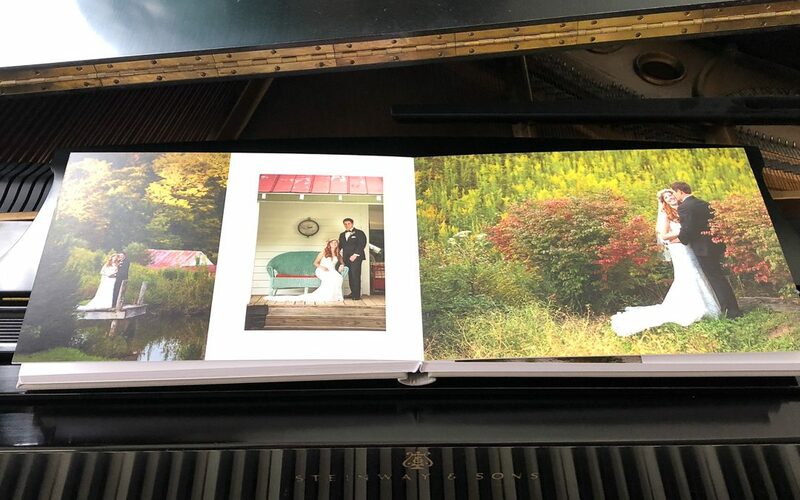 It was the anticipated wedding album from a White Fence Farm wedding this past fall. Blaire and Jimmy were married in September in one of the sweetest weddings I’ve ever witnessed. There were many, many tears of joy mixed with laughter and love. Everything was picture perfect. I often say that opening a Queensberry album is a lot like unwrapping the most anticipated gift at Christmas. It’s so exciting! 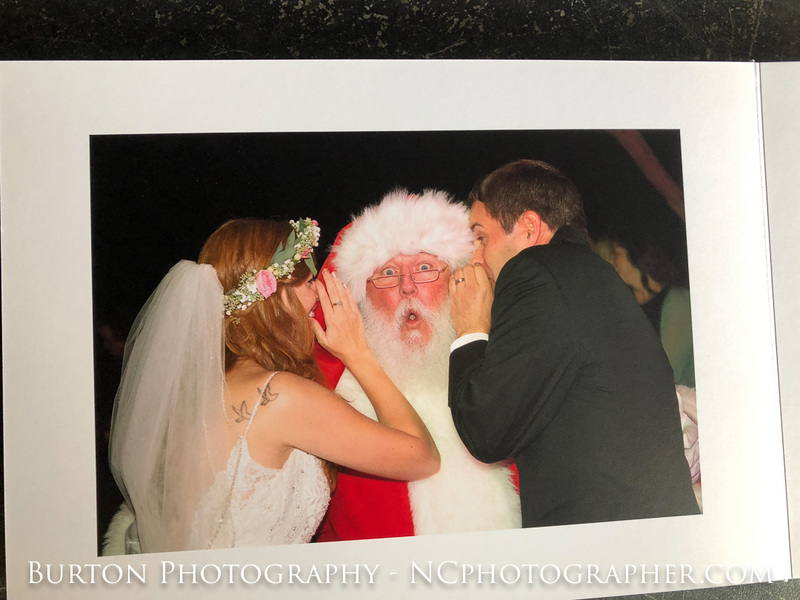 And one of the really fun moments during the reception came when Santa made a guest appearance to collect Jimmy and Blaire’s wishes. Fabulous. White Fence Farm is a rustic and charming venue just over the North Carolina-Tennessee border, about 20 miles from our studio in Boone. It was decorated shabby-chic shades of peachy pink. The early fall weather was just perfect and the goldenrod was in full bloom. There were cows in the pasture next to the wedding site and we all enjoyed it when they joined in singing “Come Thou Fount of Every Blessing. Moooooooo! Mooooooooooooo! The album that they chose is a 14×10” flushmount with an embossed, micro-leather, slate cover. It is so soft it feels like butter. The thick pages are printed on Satin Fine Art Paper. The album is hand-made in Auckland, New Zealand by Queensberry. The workmanship is second to none and the materials are exquisite. 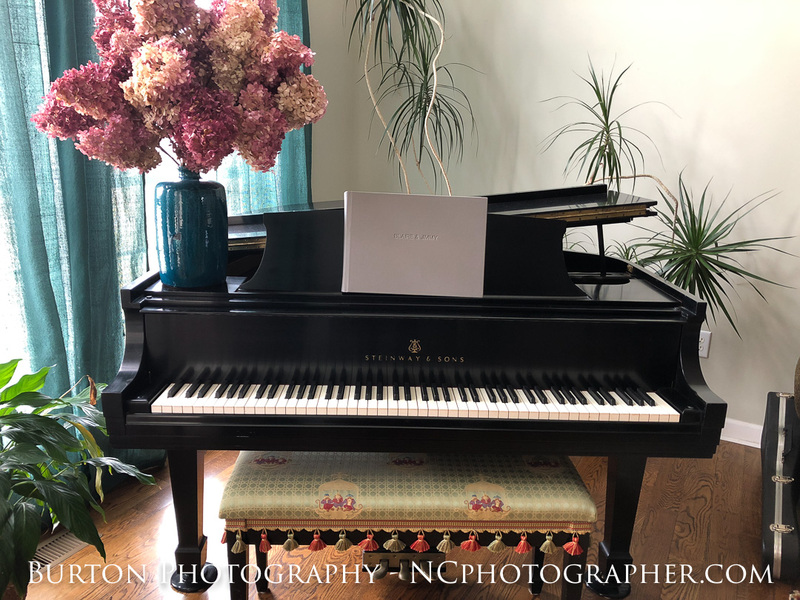 The album comes in a velvet bag and everything about a Queensberry album screams “QUALITY”! 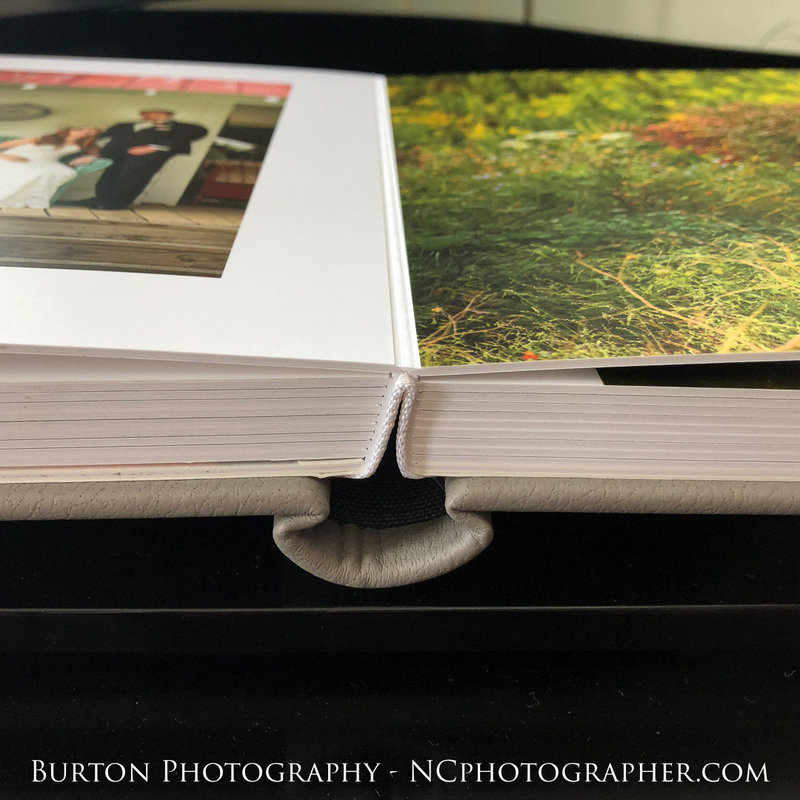 We expect our Queensberry albums to last a lifetime and beyond. This White Fence Farm Wedding Album is a gorgeous reminder of an unforgettable day. 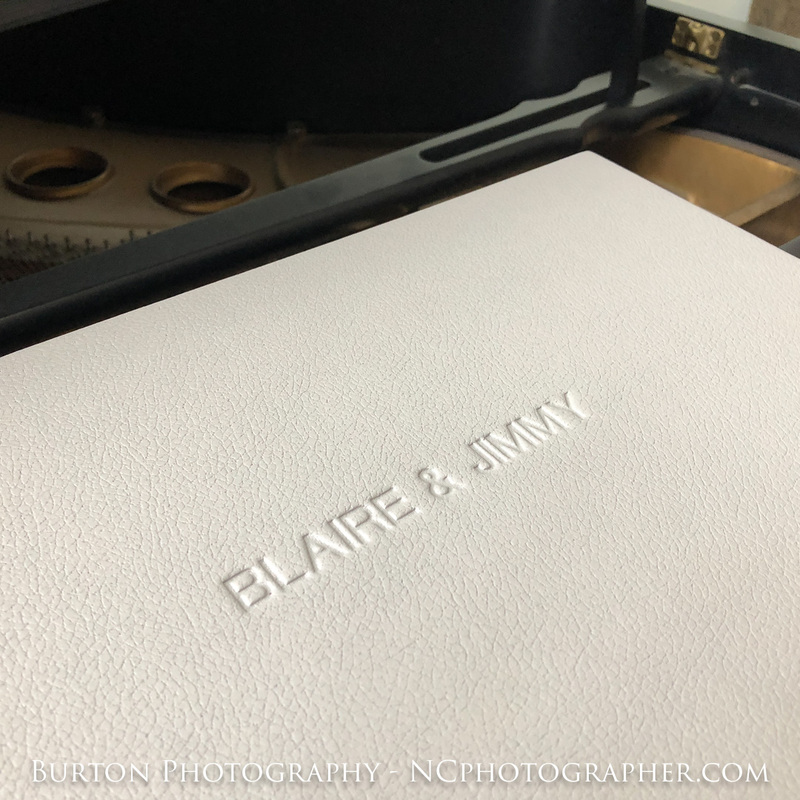 I LOVED shipping it to Jimmy and Blaire earlier today because I know how much they will enjoy turning the pages and remembering their wedding day. It’s a treasured possession that will become a family heirloom.